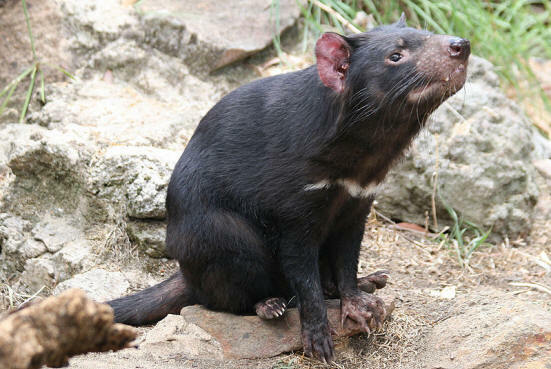 Special Features – Tasmanian devils are so called because they have fierce tempers. They are nocturnal and their vision is mainly black and white. Family Unit – Adult Tasmanian devils are solitary creatures spending much time on their own apart from mating season. They live in dens for shelter and protection. Babies stay in their mother’s pouch for 3 months and then stay in the den until they are 6 months old. They are fully independent at 9 months.